This article appeared in the print edition of Club Business International in May 2018. The European Union’s new data protection policy has universal implications. Is your fitness business prepared to meet the new standards? On May 25, the new General Data Protection Regulation (GDPR) takes effect in the European Union (EU). It is the cause of some confusion, much concern, and a fair amount of hand-wringing. The raison d’etre of GDPR is to protect the privacy of citizens’ data and refine the way organizations handle data. IHRSA is complying with GDPR by asking EU residents to opt-in to receive email communications. “GDPR is a global game changer in privacy rules,” says Florian Cartoux, the IHRSA Europe director. The penalties for noncompliance are impossible to ignore. Infractions can result in a fine of up to €20 million, or 4% of company’s annual revenues, whichever is higher. International fitness industry firms headquartered in the U.S., such as Life Fitness, based in Rosemont, IL, and Anytime Fitnes, of Woodbury, MN, have taken note and are taking steps. “We’ve worked … to develop a project plan for addressing security and privacy obligations in accordance with the GDPR,” says Life Fitness. The debut of the Internet and its subsequent explosion have helped transform data into one of the world’s most valuable commodities, and now, arguably, it’s the bedrock, the universal platform, on which modern civilization sits. But for each and every one of the infinite uses it offers, there’s a possibility of misuse and/or abuse. When discussing GDPR, the objective is generally tied to consumers, who are at risk of such things as identity theft, financial fraud, stolen information, social-media manipulation, etc. GDPR is designed to guarantee, insofar as possible, the security of people’s personal data. But the premise driving GDPR—that data is precious, has to be safeguarded, and therefore regulated—applies equally to businesses. Another conclusion reached by all, including Leach and Cartoux, is the importance of making use of attorneys or consultants with serious regulatory expertise. “I strongly recommend that any fitness club consult with their advisers about the full implications of GDPR,” says Leach. Though the regulation’s goals appear reasonable, the challenge of translating them into action is daunting. “It’s not that the new GDPR are unnecessary, or that any individual requirement is particularly shocking; rather, most of the problem is that GDPR has come at us all at once and could potentially have an impact on nearly every organization in the world,” says Leach. The most comprehensive and authoritative guide is the official GDPR website. Personal data (PD) must be processed lawfully, fairly, and transparently. PD can only be collected for specified, explicit, and legitimate purposes. PD must be adequate, relevant, and limited to what is necessary for processing. PD must be accurate and kept up to date. PD must be kept in a form such that the data subject can be identified only “as long as is necessary” for processing. PD must be processed in a manner that ensures its security. Last month, IHRSA presented a webinar on “New European Data Protection Rules: The Impact on Your Gym,” which you can listen to at any time. 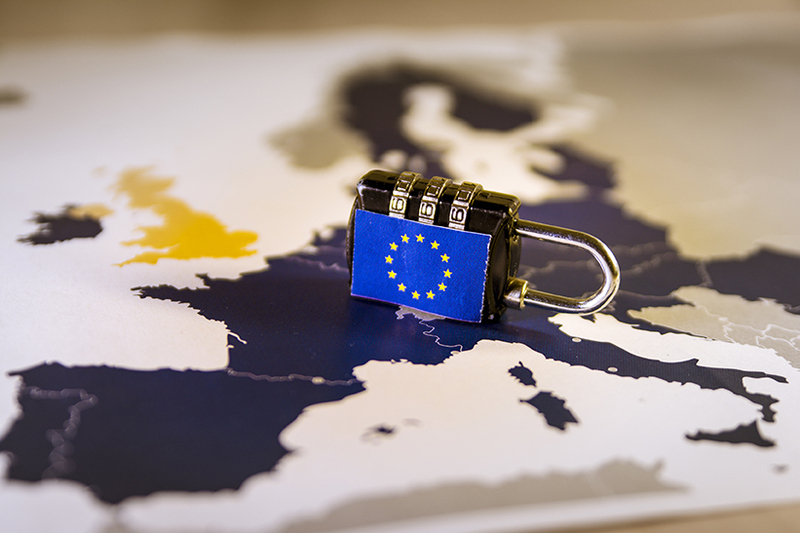 Mastering the intricacy and complexity of GDPR is, in many ways, like learning an entirely new language, but from the U.S. to the EU, health clubs and other industry businesses are applying themselves diligently. Leach and his chain’s top management have attended a CMG Professional Training in Dublin and received CMG master class certificates for GDPR. “At this stage, I’ve been to so many meetings and planning sessions, I think I could recite the whole GDPR document word for word,” he says. West Wood Club began preparing for GDPR Day about seven months ago, and, “The first, and most important, goal was to separate the scaremongering from the facts,” says Leach, who’s also a member of IHRSA’s board of directors. Anytime Fitness, which has some 4,000 clubs in 20 countries, has realized that GDPR was coming for a while, and “put together a team composed of our technology and legal departments to evaluate the regulation’s requirements and implement the changes necessary to ensure compliance,” says Goniea. Anytime Fitness, Goniea explains, has always employed best practices with respect to data privacy issues, and, as a result, is able to contemplate GDPR with a certain professional cool, calmly accepting the additional efforts and expenses it entails. The challenges, additional costs, and fleeting confusion incurred by GDPR come both with a carrot and a stick. Failure to adhere to the measure’s many stipulations triggers a penalty and could even lead to a company being unable to operate in the EU. “The cost of noncompliance is too dangerous to ignore,” warns Cartoux. “You could face a fine of up to €20 million, or 4% of your global revenue—whichever is higher—if you’re caught mishandling the data of your European customers.” At the same time, he points out, “GDPR will offer clubs and other businesses an opportunity to take better care of their staff and customer data. Craig is the editor-in-chief of Club Business International.